You'll be £25.00 closer to your next £10.00 credit when you purchase Raglan. What's this? All too many historians have dismissed FitzRoy James Henry Somerset, first Baron Raglan, as at best, an indifferent and, at worst, an incompetent on the basis of his association with the infamous Charge of the Light Brigade. Yet as this long overdue biography of a pivotal military figure of the 19th Century reveals Raglan's achievements over fifty years should not be judged on so narrow a basis. True, as Commander of the Expeditionary Force to the Crimea, he must take his share of responsibility for the hardship suffered by the men under him particularly during the winter of 1854-55 but the fact remains that Raglan never lost a battle for which he was fully responsible. Commissioned in 1804 he served under Sir Arthur Paget and the Duke of Wellington, throughout the Peninsular War losing an arm at Waterloo. He held key posts, including Military Secretary for an astonishing 25 years and Master General of the Ordnance and his influence was far reaching. Raglan is revealed in this objective study as a brave, thoughtful, caring and capable man, who found himself an easy target for critics of an outdated and inadequate military administrative system. Very personal attacks, some from official quarters, mortally wounded him and he died in June 1855, a mere seven months after being appointed a field marshal amid public acclaim. 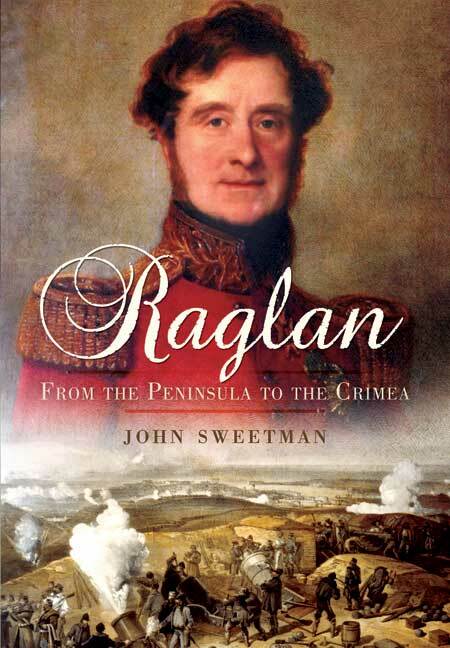 In this first full biography of Raglan, John Sweetman examines not just the man himself but the workings of an Army that was straggling to keep up with social and technological change. Readers will find this a fine exposé of a man who was placed in a no-win situation through little fault of his own. John Sweetman graduated from Brasenose College Oxford (Modern History) before taking a PhD at Kings College, London. He later became Head of Defence and International Affairs at RMA Sandhurst. He is the author of numerous military works. Now retired he lives at Camberley. Lord Raglan is now rather unfairly best known for his role in the Charge of the Light Brigade, but as this biography shows he actually had a much longer and rather more impressive career than is generally realised. The key to his success was his close association with the Duke of Wellington. Raglan served as his military secretary in the Peninsular, and then worked for him in government until the Duke's death. There is a slight tendency in the chapter on the Peninsular War to overdo the comparisons between the events in Portugal and Spain and Raglan's own command in the Crimea, but this is soon replaced by a more balanced assessment of the role his closeness to Wellington played in Raglan's career, both positive and negative (as he became associated with Wellington's later military conservatism). Sweetman takes a generally positive view of Raglan's abilities. Raglan often takes much of the blame for the charge of the Light Brigade and for the poor conditions in the British camps on the Crimea. Sweetman defends him against both of these charges - the first by looking at the entire sequence of orders sent to Lord Lucan, the cavalry commander, before the charge began, the second by looking at the command structure in the British Army, which meant that Raglan had no authority over significant parts of his command. This is a detailed well researched biography of a major figure in Victorian military history, painting a picture of a capable general and dedicated family man. JOHN SWEETMAN’s many publications include The Schweinfurt Raids and Oil Strike – Ploesti describing American raids, Cavalry of the Clouds, The Dambusters Raid and Tirpitz – Hunting the Beast about British air operations during the two world wars over Europe. Married with two sons and four grandchildren, he lives in Camberley.